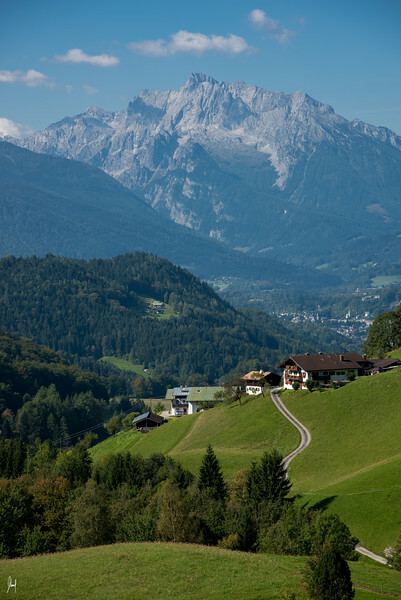 If you were to picture Bavaria in your mind, you would probably be close to what Berchtesgaden is actually like in real life. Towering mountains, cows grazing along grassy hillsides and winding mountain roads are all part of the beautiful reality of Bavaria. My time here was spent drifting along hairpin turns and leisurely snapping photos of all the amazing sites I saw. There were so many stunning vistas around every corner that I hardly had to plan a single shot; each one happened spontaneously as I stumbled upon more and more beautiful scenery. This single shot required almost no post processing and that is understandable: some scenes are too perfect in their own right to make any change whatsoever.